On a recent NYC weekend, the GGSO conducted a quartet of performances, which exemplified the group’s wide range of versatility and talent. Starting on a Saturday night, the PARTY band rocked out in the ballroom of The Waldorf-Astoria for an ecstatic newlywed couple. Sunday, the JAZZ big band kept the audience in a state of musical rapture at the intimate Smalls Jazz Club for their monthly residency. The next day on Monday, the dance orchestra traveled vertically to the 65th floor of Rockefeller Center to entertain guests with their SOPHISTICATED SWING at the world-famous Rainbow Room. And to conclude the concerto, the HOT SWING big band holds court every Tuesday at SWING46 Jazz & Supper Club, as they have for the past two decades – jumpin’ n’ jivin’ for the most dedicated lindy hopper and troves of bemused tourists! 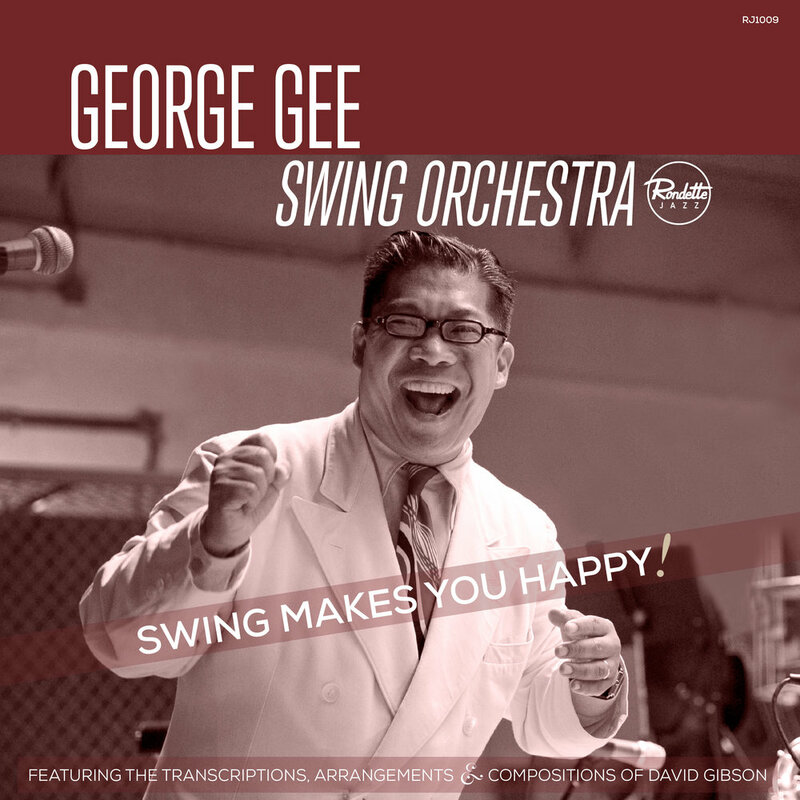 The ability to crossover seamlessly from SWING – JAZZ – PARTIES is a vital quality of the George Gee SWING Orchestra that strongly contributes to the group’s long running success! The GGSO help spearheaded the modern swing resurgence even before it even became popular again in mainstream culture, with its development nearly four decades ago. Headlining regularly at Lincoln Center’s Midsummer Night Swing, the swing big band was a favorite of famed Savoy swing dancer Frankie Manning – having performed a long series of dance events in his honor in New York City, Boston, Chicago, San Francisco and Tokyo! 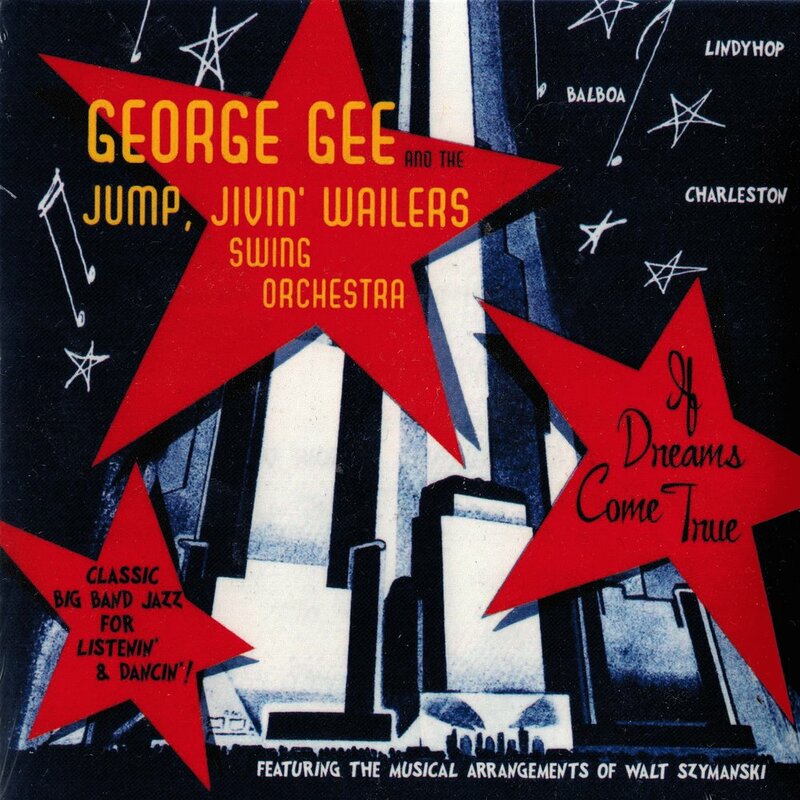 Lindy Hoppers around the country and world are all familiar with the George Gee Swing style, surely from their countless high-energy shows over the years! Also catch them EVERY Tuesday evening at SWING46 Jazz & Supper in Times Square. Some music lovers consider Swing and Jazz to be two separate identities, while instead the GGSO embraces both idioms enthusiastically and combines the best of both. Their most recent CD recording “Swing Makes You Happy” garnered regular radio airplay and was featured on the Jazz Charts Top 50 for nearly 12 weeks – peaking at #16. SMYH showcases the band at its top jazz form (without straying too far away from the swing beat ever) and highlights the jazz penmanship of music director David Gibson. With a monthly engagement at one of Lower Manhattan’s top jazz spot – Smalls; recent jazz appearances include The Morristown Blues & Jazz Festival (NJ), The Zurich Arts Festival (Switzerland), Mellon Jazz Festival (Pittsburgh) and the I Love Jazz Festival (Brazil). Basie Made Us Do It! What does Magic Johnson, Quincy Jones, President Bill Clinton, Reba McEntire, Brooke Shields, Julianna Margulis, Liam Neeson, The Jordanian Royal Family and Scarlett Johansson all have in common?? Along with multitudinous newlyweds and party-goers – they have all indulged in the party dance music antics of The George Gee SWING Orchestra at a special event. From summoned to Amman, Jordan by Quincy Jones for a private party to chosen to be the entertainment at Emmy-winning actor Julianna Margulis’ wedding to performing a series of celebrations for A-Lister Scarlett Johansson – the George gee party orchestra can play “Swing that Rocks and Rock that Swings” for your very special occasion! TASTEFUL AND SOPHISTICATED PRESENTATION OF CLASSIC DANCE MUSIC (SWING,SINATRA, LATIN,OLDIES, CLASSIC ROCK, MOTOWN, DISCO, ETHNIC & CONTEMPORARY) TO KEEP THE PARTY GOING' ALL NIGHT LONG. VISIT GEORGE GEE MUSIC INTERNATIONAL FOR MORE INFORMATION.